Contact Parcel2Go customer care by visiting their online help centre for general enquiries about their package delivery services including their prices. Here you can also enquire about their collection services whereby your parcel is deposited at an affiliated pick-up point, which is useful if you were not at your property at the time of delivery. Furthermore if you would like to upgrade your delivery to next-day expedited shipping or by adding an insurance policy to protect against damages to valuable items then you may visit their website for a quote. Moreover if you require technical support when using their online tracking service to ascertain the location of your package then you may message their customer service staff for troubleshooting assistance. The Parcel2Go help centre is accessible via the URL https://www.parcel2go.com/help-centre, as this is a largely automated service you can access the majority of options 24 hours a day. However their live chat facility operates during standard office hours of 9am-5pm Monday-Friday. Unfortunately Parcel2Go does not offer a telephone helpline number for customer care, hence the online help centre is the recommended way of getting in touch with the courier firm about parcel deliveries. As Parcel2Go are an online-based comparison service for package deliveries they offer email support and social media messaging for enquiries about their courier rates. Moreover they offer a traditional postal address for formal enquiries. You may write to Parcel2Go by posting your letters to their UK office address in Bolton which is provided below for your convenience. Please be aware that it may take up to a week for them to respond to your enquiries and that unsolicited cheques are not accepted unless they are for business payments. 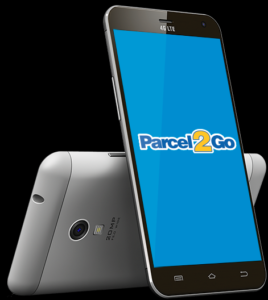 Visit the Parcel2Go help centre to send enquiries about a package delivery via email. Here you can also access their online tracking service for live updates on your parcel and to rebook your delivery if it is no longer scheduled to arrive on a convenient date. You may use social media websites to send messages to Parcel2Go customer support staff for enquiries about their delivery services and to report a problem with one of your packages, including missing items.